ASUS PhysX P1 PPU Card is powered by AGEIA PhysX processor (aka PhysX Processing Unit PPU). Currently, only ASUS and BFG Technologies have the capability to develop PPU cards. 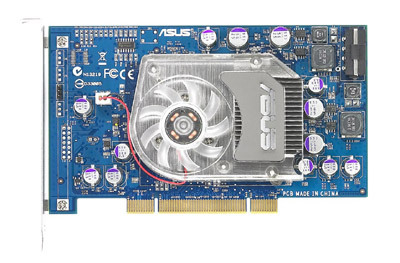 The specification os ASUS PhysX P1 is 32-bit PCI 3.0 Interface bus technology, 128-bit GDDR3 memory architecture for memory interface, 128MB memory capacity with 12 GBytes/sec bandwidth and 733 MHz effective memory data rate, and with power consumption of around 28W. In a gaming system, the CPU (Central Processing Unit) drives game AI and logic, while the GPU (Graphics Processing Unit) delivers beautiful three-dimensional visual representation. The PPU takes gaming to the next level with never-seen-before dynamic motion and interaction. The ASUS PhysX P1 card is the first PPU from ASUS and works out of the box with a select few game titles. Over time game titles will increase and the return on your investment will mean enhanced gaming.